Thank you for your interest in the Tuxedo by Sarno Prom Rep Program for your prom! We look forward to working with you! Below is some information about our prom rep program and how it works! • When you sign up in our stores or on our website you will receive discount coupons to give to all of your friends with your prom rep number on them. If just 5 of your friends use the coupon you earn a free tux! Even better! If 10 of your friends rent from Tuxedo by Sarno with your coupons you will get a free tux and $100 and if 20 friends rent from us, you will earn an additional $100! That's *$200 total! • Track your progress on line. Your prom rep number is printed on the coupons you received at the store or if you are signing up for the first time on line a number will be assigned to you. Just sign up on our Prom Rep page. • Once you are logged in you will be able to track your coupons as they are used in the stores, refer friends through emails, post on Facebook, send tweets, and send referral text messages to get the word out! You can also print out additional coupons if you need them! 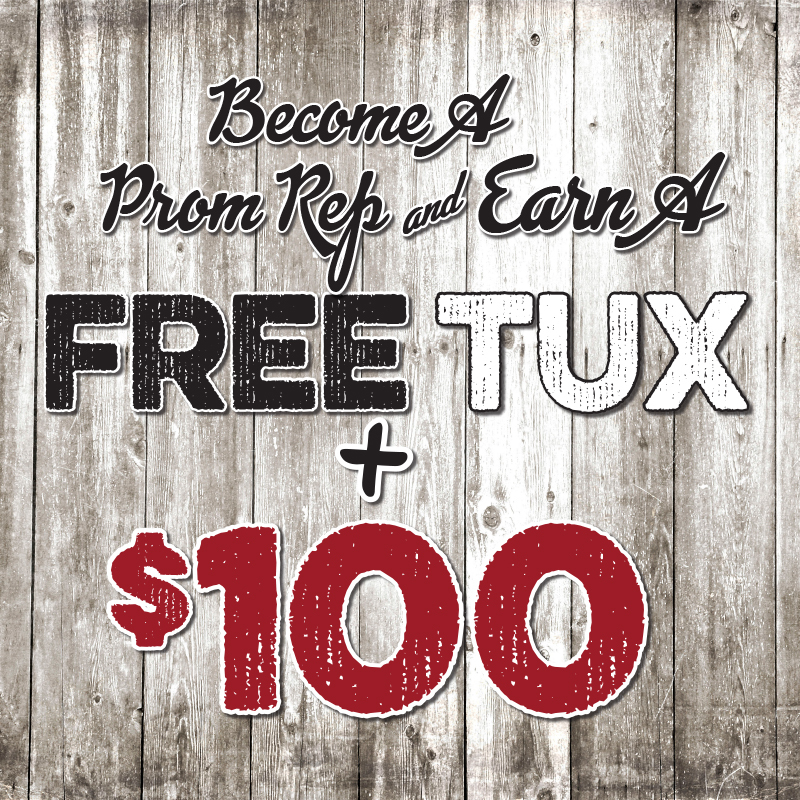 >> Visit your local Tuxedo By Sarno for questions and details about any of our prom programs. *in addition to the free rental, $200 is the maximum amount to be earned.